The Thermacore® Collection 5745/5765 Series wind load models are thermally efficient garage doors constructed of polyurethane insulation. Both series provide excellent insulation with high R-values (Series 5745 at 12.12 and Series 5765 at 16.22). The premium insulation is also designed for protection against hurricanes, wind damage, and wind-borne debris. Offered in a variety of colors, including bi-directional wood grain, this collection meets stringent building codes and agency while also adding tremendous beauty to your home. *Overhead Door does not warrant this product with black finish against warping, rubbing, or other issues associated with thermal bowing. Black finish is not recommended for areas that experience high heat and/or high UV conditions. R-value: Overhead Door Corporation uses a calculated door section R-value for our insulated doors. The higher the R-value, the greater the insulating properties. Our WindStorm™ wind load rated system is available on selected products in order to meet regulations for a wide range of wind speeds. 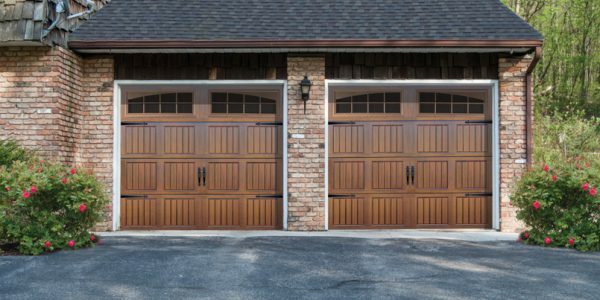 This makes certain that your door complies with even rigorous building codes and can withstand a variety of wind conditions and speeds, including hurricane-forces.